Animal Costume is always a fun child costume! These Animal Costumes will have your child not wanting to take off their adorable costume! 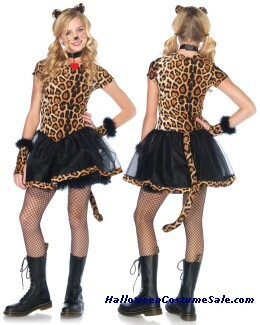 Whether you're looking for a WILDCAT COSTUME, a CUTE-T-LEOPARD COSTUME or a VICTORIAN PINK SPIDER DRESS, we have the fun Animal Costumes your child will love! Make this Halloween one to remember with a Animal Costumes!